Steve Bulman is the Managing Partner of WBW Solicitors and specialises in all aspects of civil and commercial litigation. 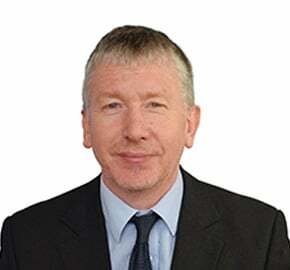 Steve has been with the firm since 1984 and subsequently qualified as a Solicitor after attending a University in London. During his time with WBW Solicitors Steve has particularly specialised in education related matters together with an array of County Court and High Court litigation. Steve is the Managing Partner of the firm and has been since 2005. Steve has a keen interest in rugby and continues to support Newton Abbot and Paignton Rugby Club and also is a keen supporter of Exeter Rugby Club. Steve is a member of both Newton Abbot Rugby Club and Paignton Rugby Club. Steve is the Honorary Solicitor to both rugby clubs.